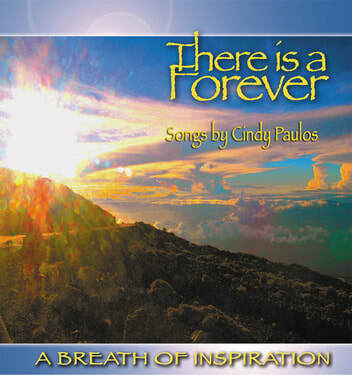 Cindy Paulos - Official web site of Cindy Paulos, containing links to all of Cindy's creations. My brand new CD is Out!!! Much gratitude to the excellent musicians who shared their music for the CD. Paul Avgerinos, Marty Dread, Dyan Garris, Eric Gilliam, Rock Hendricks, Fiona Joy, George Kahumoku Jr. Rickey Kej, Pat Robinson, Rupam Sarmah, Gary Schmidt, Laura Sullivan, and Danaë Vlasse. Produced by Kenya Autie and Cindy Paulos. We all can find Inner Peace! Here's a little bio and projects I have to offer.
. Rev. 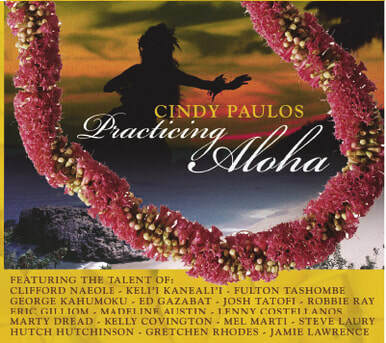 Cindy Paulos is a motivational inspirational speaker, author, composer, artist, travel agent, and Disc Jockey for KAOI RADIO in Maui, Hawaii. She has hosted the longest running talk show on Maui for 28 years. ​ Cindy is a voting member of NARAS(Grammys)and HARA. Four of her CD's have been submitted for Grammy Consideration. Ave Maria, Queen of Angels was also nominated for a Na Hoku Hano Hano Award and a song from that CD, Greater Purpose, has been nominated for the Hollywood Music and Media Award (HMMA). 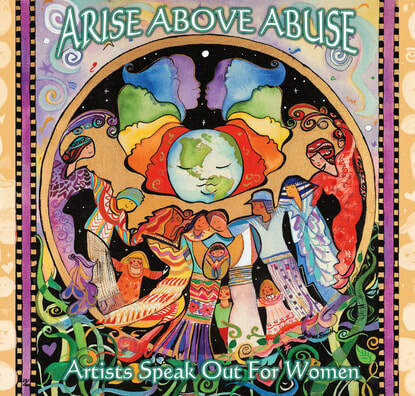 Arise above Abuse, Ave Maria Queen of Angels, and Peace, Music and Poems. She truly changed my life. I have to admit I doubted if people would believe me. Then I had a few miracles happen that convinced me that I had share the words that came to me. I was told it looked like I had cancer, and went through tests, but decided I would pray to Mary and asked for her help in healing me. I canceled the surgery an two weeks all pain left and it has not returned. There were other healing for others I prayed for as well. I released the book Mother Mary asked me to write, Mystical Mother Mary, and now have released the CD, Ave Maria, Queen of Angels. ​I am forever in awe of her Miraculous gets of Mercy,Love, Compassion and Healing. I sincerely hope you are touched by Her gifts as I am. You can listen to selections of the music on the player at the right. The Metaphysical Media Network is a non-profit organization that shares inspirational music on a free 24/7 new age music station. We believe it is possible to bring peace, healing and inspiration to the world through music, art and spoken word.We are here to inspire and uplift you. Music has a message and we want you to be able to hear the brilliant artists you might not get a chance to hear on commercial radio.You can now host you own radio show for VERY affordable rates. Listen to "Mary Messages of Love receive" on Spreaker. Mystical Mother Mary, Sacred Tools of Love, Messages, Meditations and Prayers is now out and available on Amazon. I was directed by Mother Mary to write this book, and had doubts about whether or not people would believe that She had reached out to me. I then had a few miraculous experiences that convinced me that I should do the book. In the book Mystical Mother Mary, you will find prayers, exercises, meditations and messages that lead you through ways to have a direct mystical connection to the Holy spirit and your soul. You will be able to follow some basic principles that will clear the past and lead you to the Divinity of the realms of Mystical Mother. To purchase CD or songs click on picture to the left. ​T﻿﻿he Angel Blessings, Benefiting Hospice CD collection provides 40 inspiring tracks of words & music that deliver uplifting spiritual messages by Rev. Cindy Paulos. This synergistic musical poetry is performed by distinguished visionaries and artists. Dr. Wayne Dyer, Colin Andrews, and Dr. Paul Masters, in combination with world-renowned musicians, such as, Grammy® Award recipients Laura Sullivan, George Kahumoku, Omar Akmar, Kevin Mackie, Miss Amy, Judy Pancoast, Alex Otey, and Emmy® Award recipients Giovanni,Tom Vendetti, and prominent award winning composers & singer/songwriters, such as Rupam Sarmah, Ricky Kej, Leonardo Le San, Grant Maloy-Smith, Bob Miles and others have dedicated their efforts in this project to upholding dignity and quality-of-life! Angel Blessings Messages from Heaven book is a preparatory guide to lead you to the higher realms of heaven. It offers words to invoke the spirit and experience the soul as a way to understand that heaven can be experienced while still on Earth. ﻿ The book’s message is inspiring, timely and uplifting. The chapters include affirmations, poems, meditations, prayers, and insights from a wide spectrum of the author’s direct experience based on 50 years of insight and messages received from meditation. It includes step by step way to get in tune with your soul so that you can connect with inner realms of consciousness. There are inspiring messages that are from loved ones in Heaven. 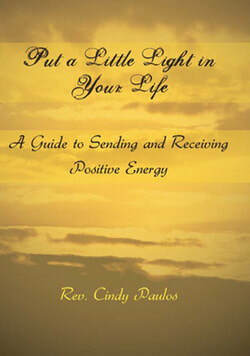 There are also meditations, quotes and affirmations to use that can bring comfort from the loss of a loved one. It is also a book that will give those who have a fear of death to come to a deeper understanding that in spirit we never die. ​From ancient voyagers to today's frequent fliers, travel has always been a window to the rest of the world and a means of transforming strangers into valued friends. But how do you leave your cares behind to open yourself to travel's grand adventure? Don't worry. 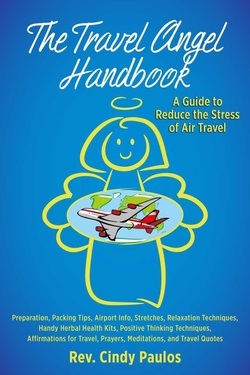 “The Travel Angel Handbook, A Guide to Reduce the Stress of Air Travel,” by the Rev. Cindy Paulos, has you covered with great tips. - Ways to practice kindness and consideration when traveling. Handbook available at Amazon.com as an eBook. Paperback version NOW AVAILABLE on Amazon.com. Click the photos to the left to be magically transported to see them on Amazon! Learn more about the Handbook. 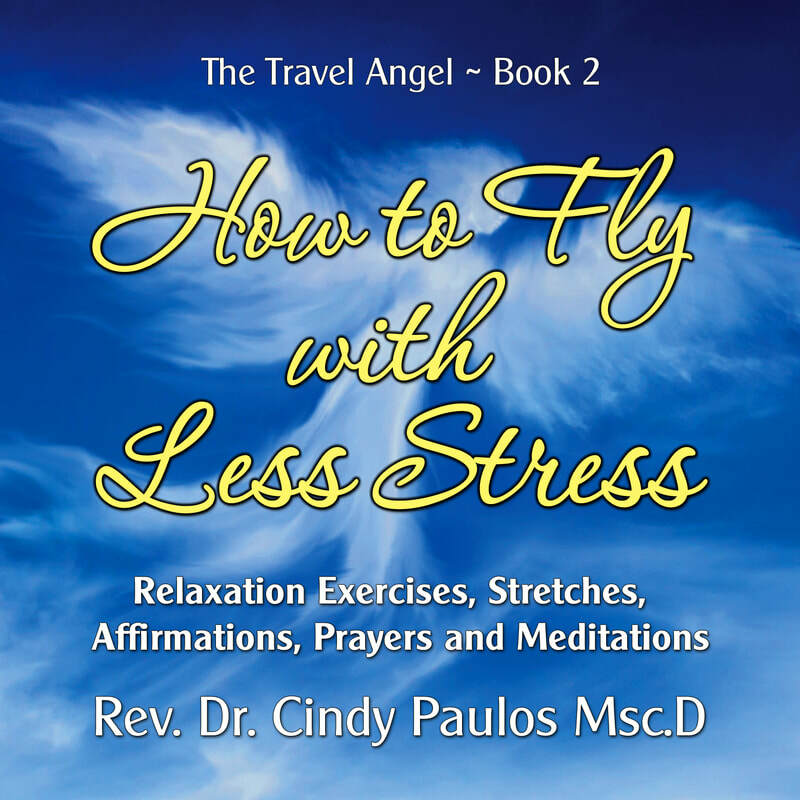 The Travel Angel Show features interviews with experts in the travel industry. The interviews provide insight into what makes some of your favorite travel show hosts tick . Interviews with CBS Travel reporter Peter Greenberg, Conde Nast's Barbara Peterson, Talk show and TV Travel Host, Rudy Maxa, Travel Host Pauline Frommer and many others. ​In the course of any day, I’ll wake up at 4 am and meditate, say prayers, and write a morning message. I write those messages down and put them in my Blog, located at The Bright Light Blog. There are over 800 morning messages posted there. I have been writing these messages down everyday since I was a teenager, and was directed to write a book that would help people work with Light. Then I go to work at KAOI Radio. I have shows on KAOI 1110AM, 96.7FM, KAOIFM, and Island FM and do sales for the station. I decided to take some of the words that had come to me and put music to them. My first CD was channeled to me by my Mother after her passing. A very important part of my daily life is communing with Nature and walking with Spirit. This comes in the form of walking in magical Iao Valley every day. I also enjoy traveling to wonderful places around the globe, taking photos and putting the photos together with my original music. I wish you blessings of Great Joy, Love and Light.